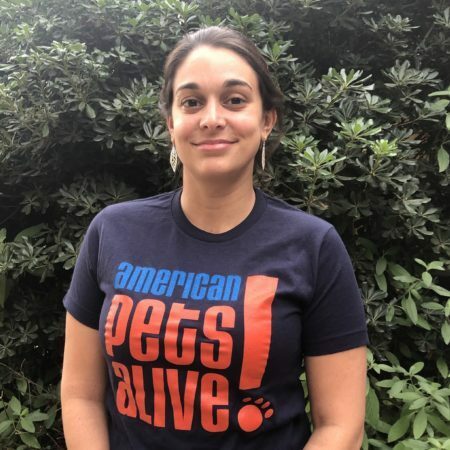 Kasey Chayeb is the Maddie's® marketing and communications director for American Pets Alive!. Her background is in public relations with a focus on nonprofit and local government management. She studied journalism at the University of North Carolina at Chapel Hill and also received a master of public administration (MPA) degree from the UNC School of Government. Kasey has always been an animal lover and has two dogs, Farrah and Lina.